As eggs age, they dehydrate and the air cell enlarges. 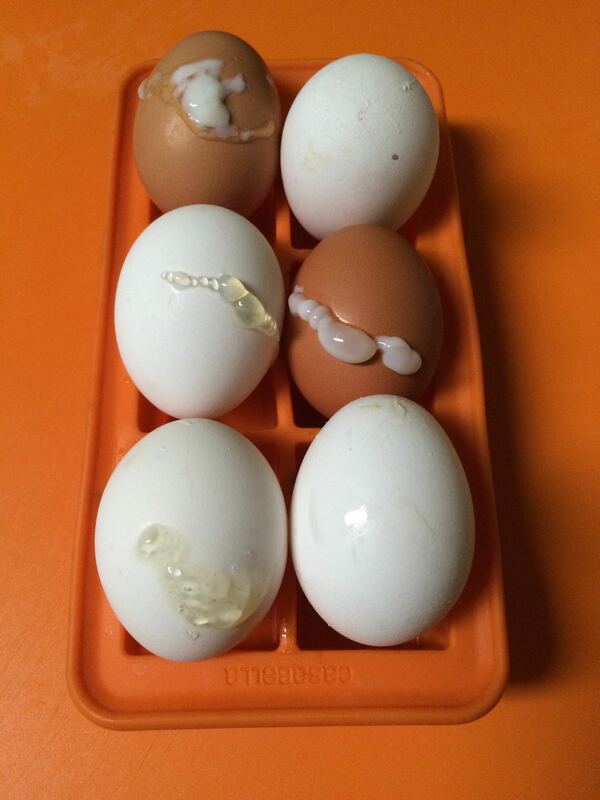 It is suspected that the gas expanded too quickly and caused mass egg-breakage (the eggs pictured above were pretty old). Henceforth, only new-ish eggs will be used with the Sansaire .